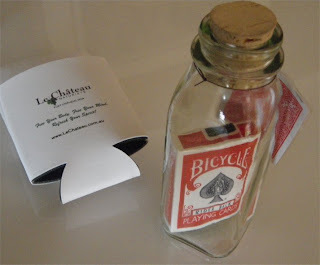 I have just added to the bar an inspirational bottle that has a pack of playing cards in it. So whats so inspirational about that? 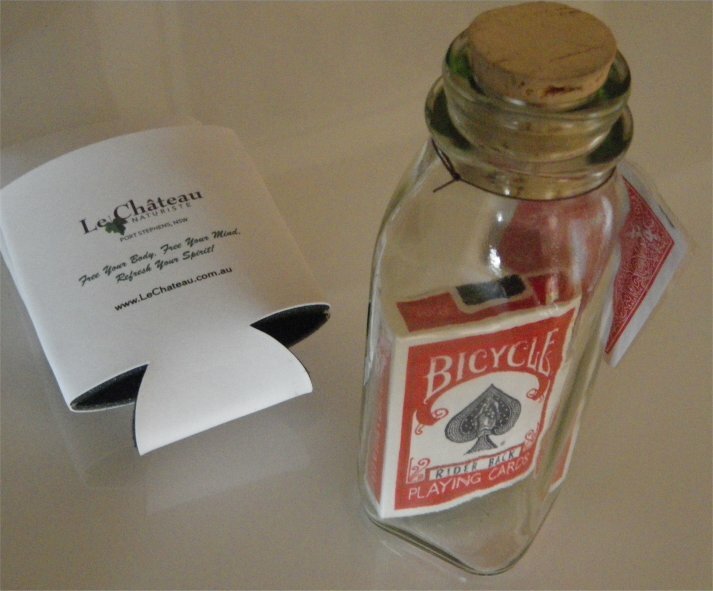 The "Anything Is Possible Bottle" is an unaltered bottle which now has a pack of 52 playing cards sealed and in cellophane inside. The only way this could have happened is for them to be placed in there through the open neck of the bottle - clearly impossible right? Wrong - Anything is possible. "These art pieces are handmade by Vancouver magician Jamie D. Grant and are guaranteed to use unaltered milk bottles and Bicycle brand playing cards still wrapped in their original seal. Whenever times get tough, look over at your magical bottle and remind yourself that...Anything Is Possible." 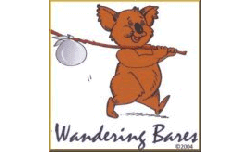 If someone, a few short years ago had said to me that I would be living a Naturist lifestyle and owning a Naturist B&B, I may have said that sounds impossible. We really do need to be realistic! Are we Naturists with a textile mindset? 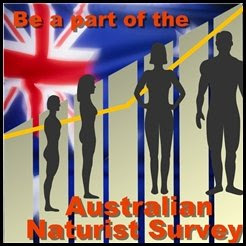 Am I a fig leaf Naturist? Since living the clothes free lifestyle, which includes my working hours, I find it even more strange that we, as a society, are so clothes compulsive. 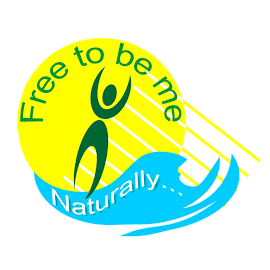 When you have Naturists guests come over, do you invite them to take off their clothing to get comfortable or do you default to a textile mindset? The other day we had some visitors who we knew were Naturists and they dropped in to have a look at the facilities of Le Château, I greeted them naked, as usual and then provided the "grand tour" following which we sat down and had a drink and talked. After they left I thought to myself that I should have offered them the chance to get comfortable and remove their clothes. As it turned out I had the chance to offer this hospitality a few days later when some long time Naturist friends came to visit. We were about to sit out in the courtyard and enjoy a cool drink and the sunshine when I asked if they would like to make themselves comfortable and get into "uniform". The husband took me up on the offer and was much more comfortable as a result. So next time I will definitely make the offer to our visitors to be clothes free and comfortable.